DigitalCommons@SHU - Academic Festival: Practical use of population level genetic diversity for yeast strain identification in the craft brewing industry. Practical use of population level genetic diversity for yeast strain identification in the craft brewing industry. K. A. Bartholomew, Dept. 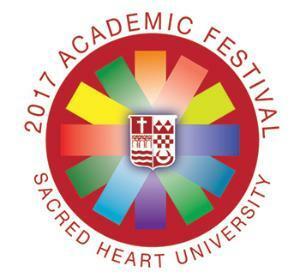 of Biology, Sacred Heart University G. F. Stopper, Dept. of Biology, Sacred Heart University K. B. Fredrick, Two Roads Brewing Co. The strain of yeast selected for primary fermentation in the brewing process of beer can have major effects on the beer flavor. Therefore, inoculating (pitching) pure and desired strain of yeast to the prepared wort is crucial to the brewing process in order to obtain desired sensory characteristics. In the craft brewing industry it is common for breweries to use multiple yeast strains, making assurance of strain purity and contamination detection essential to product consistency. Currently, rapid and accurate identification techniques are not readily available for differentiation of various brewing yeasts. We have analyzed the DNA sequence of six genes in four common brewery strains of yeast used in the production of specific beer styles of beer—American Ale, Lager, Hefeweizen, and Saison— order to identify strain specific patterns of Single Nucleotide Polymorphisms (SNPs). Results indicated sufficient SNP variation between strains within a 110 base pair amplicon on the MLS1 gene. Current results indicate that high resolution melt curve (HRM) analysis using primers specific to this sequence provides sufficient variation for strain identification using this assay.